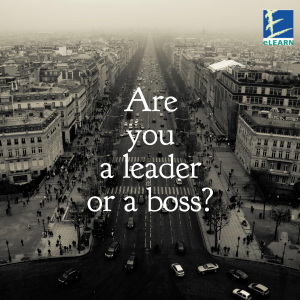 Many people think that leadership roles are very similar to those of management, and in some ways this is right. However there is a key difference between leadership and management, which makes the leading job more of a challenge. Leaders may be in charge of a group that does not report to them. In this case they do not have the power of authority of a manager. When this happens the leader has to rely on his/her influencing skills to get people to do what he or she wants. The focus is on inter-personal skills. You may think this distinction is too simplistic, and of course it is. Good managers need to incoroporate leadership into thier role. It’s usually not appropriate to tell people what to do – they need to be influenced. Elearn offers a range of self-study courses that are designed to develop you and help you make an impact at work and enhance your career. We offer CMI and ILM levels 2-7 in Leadership, Management and Coaching.